On a total lark, I bought a sheaf of Yupo paper from the DickBlick store in Washington D.C. last spring. The ‘paper’ was unlike anything I’d ever seen. Placing colors on Yupo is like putting the color in a vacuum - a color’s unfiltered brightness and truest essences emerge when on Yupo. After working with Yupo for a while, you realize that it definitely isn’t paper in any sense - made of recycled plastic, it rebuffs water like a duck’s feathers. Colors don’t sink into it, they float on top of it, roiling softly, blending like a dream. It’s more like working on glass than paper or canvas. Think Bristol board but not made of trees. 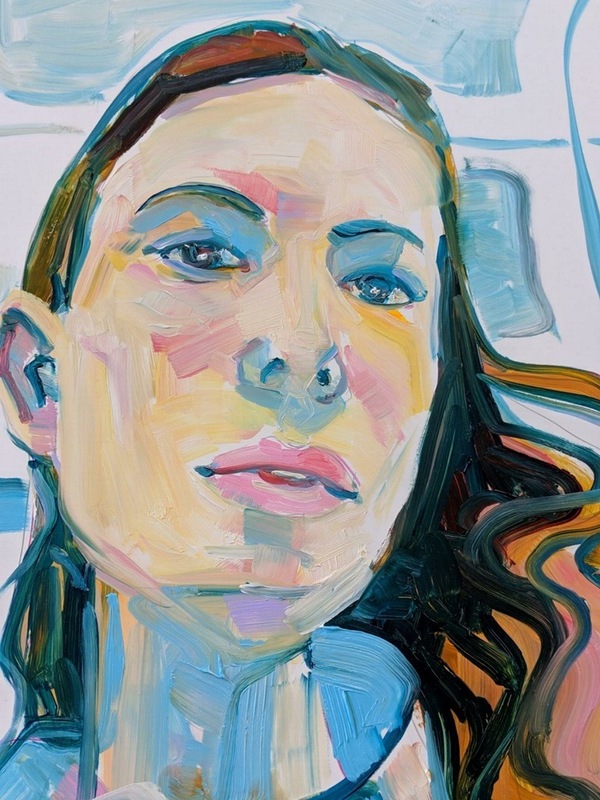 Like painting or drawing on Mylar, Yupo is extremely mutable. 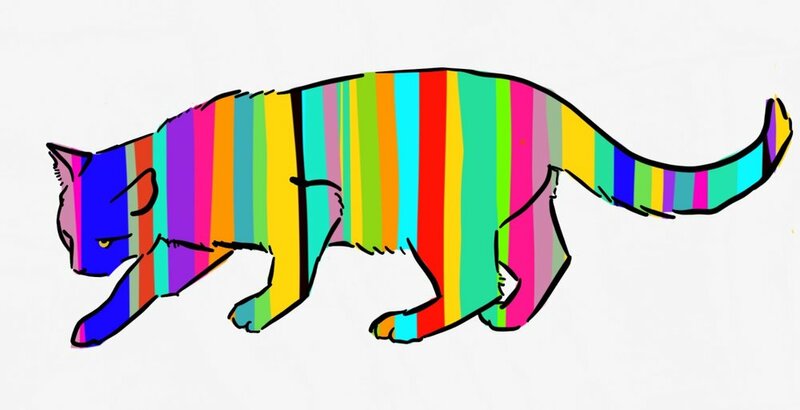 You can make a mistake in ink, and remove the mistake with a bit of rubbing alcohol. Given all of this, I could see no reason why oils wouldn’t work on Yupo, where oil is like ink and turpentine works to erase like rubbing alcohol. That said, oil isn’t exactly advertised to work on Yupo - the Yupo pad itself states that the surface is great for watercolor, alcohol inks, and acrylics. No mention of oil paint anywhere. I gave it a try, and spoiler, it’s amazing. 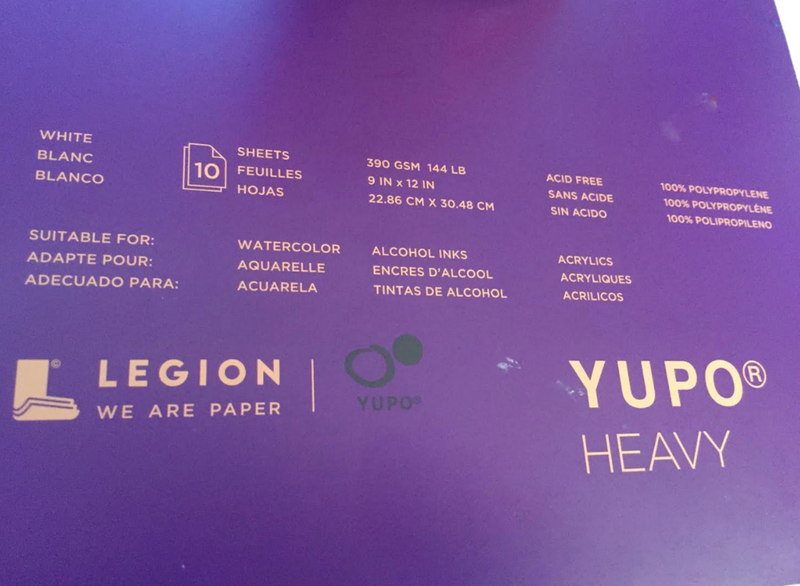 To get started with oils on Yupo I used Yupo Heavy (purple packaging) instead of the Yupo standard (orange packaging) paper. 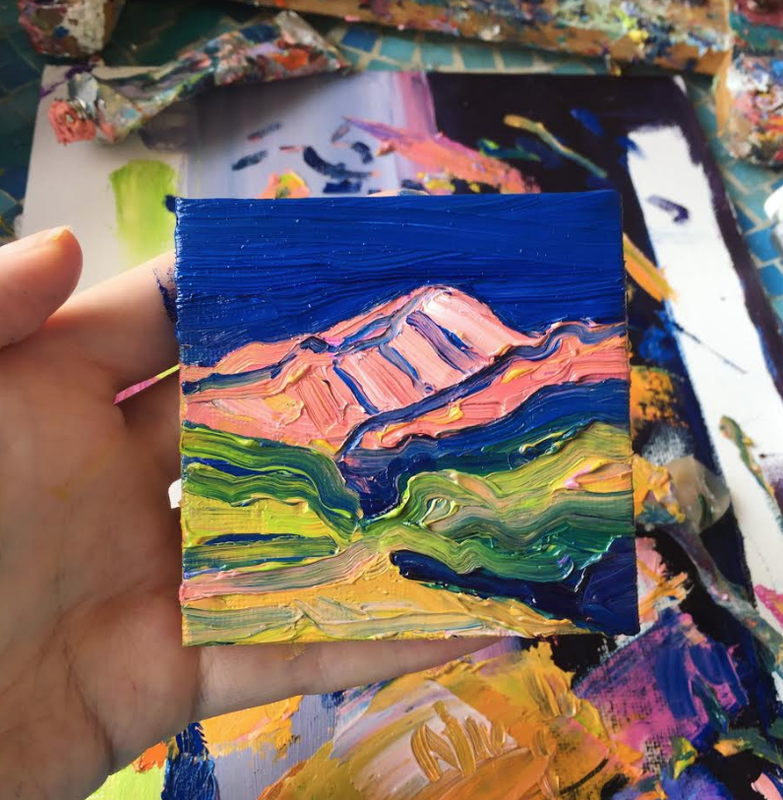 I tend to paint with heavy layers of thick oil paint and painting on anything less sturdy than card seemed unfair, or like it would end in disaster. 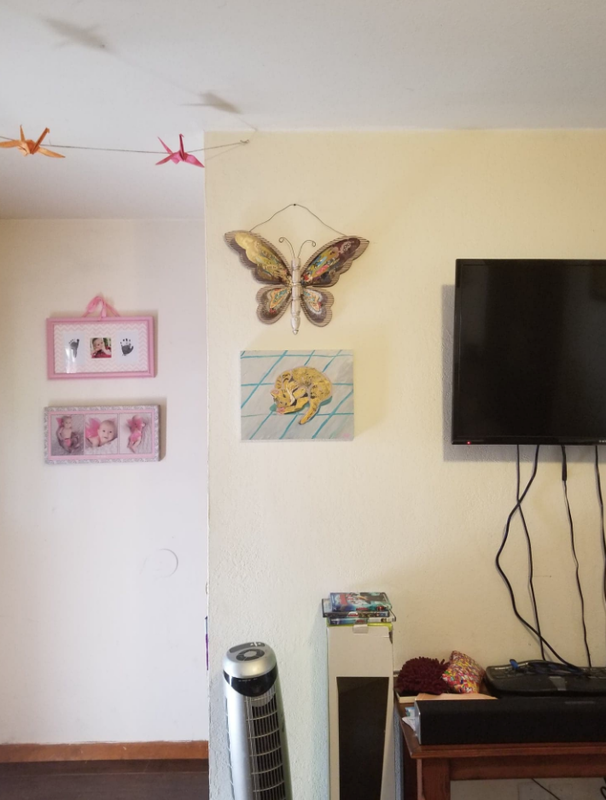 The painting above doesn’t even look like an oil painting, it’s more like a watercolor or acrylic ink at this point. Liquin makes layering easy and provides the mutability needed to make oil on Yupo work. One part Liquin gives oil on Yupo a glassy, alcohol-ink-like feel, with all of the benefits of blending in oil. 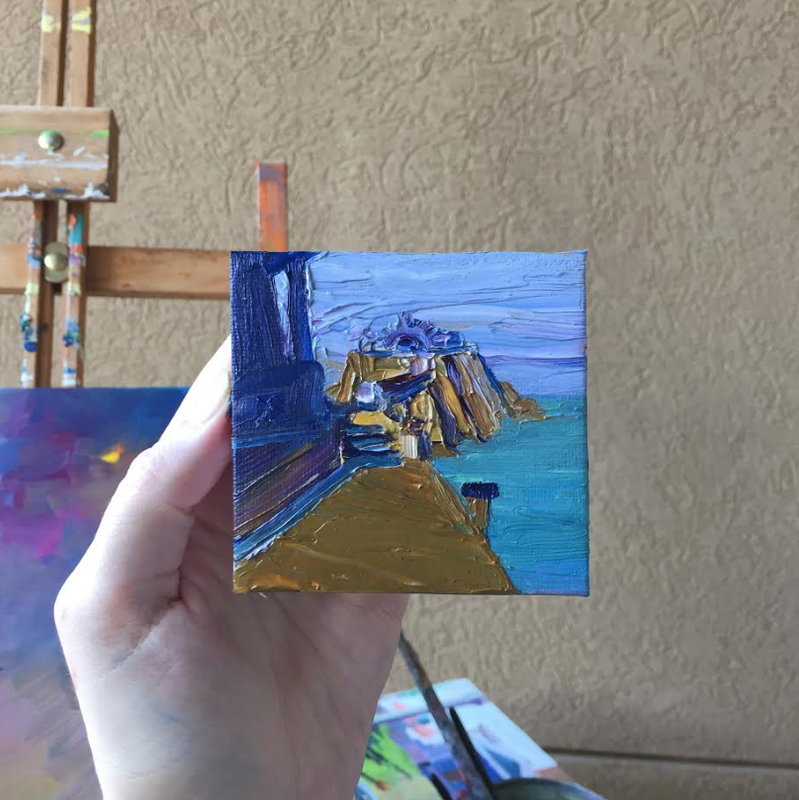 While Liquin makes oil paints a bit more like acrylics in that it speeds up drying time, it doesn’t dry so fast that you can’t go back and rework within 2 hours. 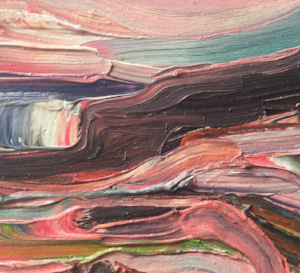 Without Liquin, oil paint can kind of get stuck on Yupo. It goes onto the Yupo and your brush just kind of sticks there - controlling it isn’t as easy. 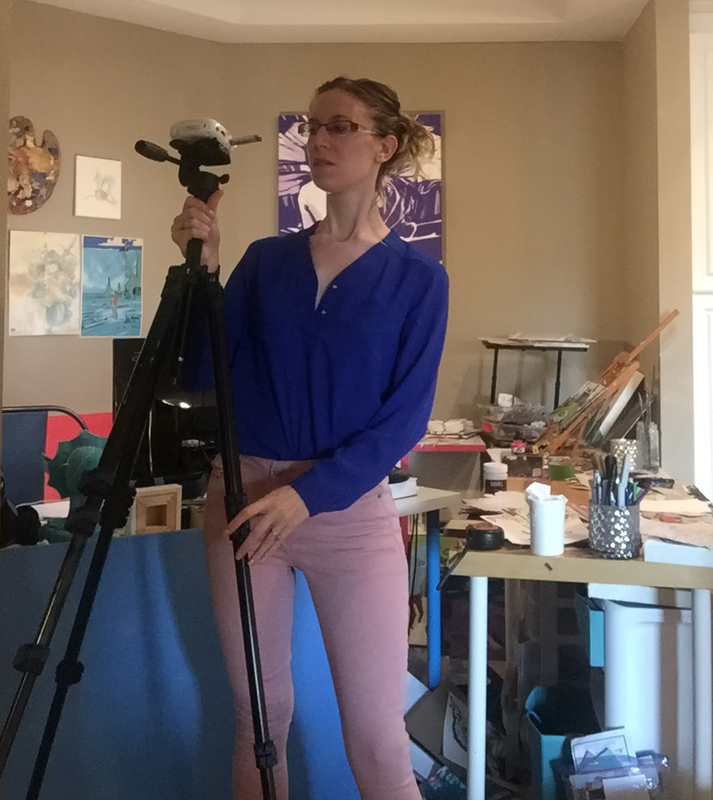 The first challenge is getting the Yupo paper onto an easel-like surface - since it is a sheet rather than a board, it’s a good idea to put the paper on a board or something like it. I used this wooden canvas backing as a support for the Yupo. 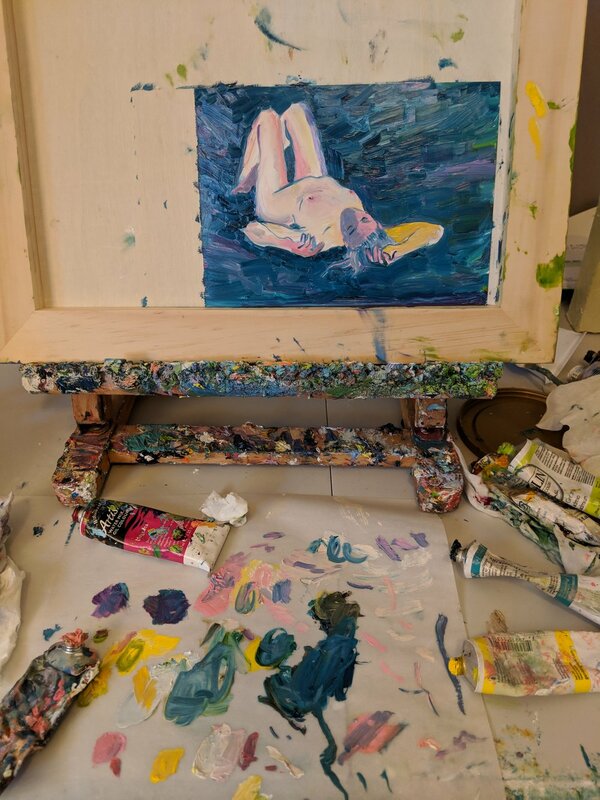 Without a decent amount of Liquin I had to keep brushstrokes shorter, and the model looks more like she was cut like a stone rather than flowing. I did like painting on smaller pieces of Yupo but for range, larger pieces (around 8 x 12 or so) work much better. It turns out you can get huge rolls of Yupo, similar to rolls of mylar, for larger work. Will oil paint crack or split on Yupo once dry? No, it bends as easily as the plastic it’s sitting on. Freezing weather would likely cause cracks, but that’s all I could think of. It’s been a few weeks since making my first painting on Yupo and it’s holding up beautifully. Since plastic has extreme longevity (think of all the pictures of plastic in the ocean and its tendency to never biodegrade) oil paintings on Yupo could last for a long time. I don’t see yellowing as a problem, as long as the paint utilized is pretty good. I’ll get back to you in a couple years. 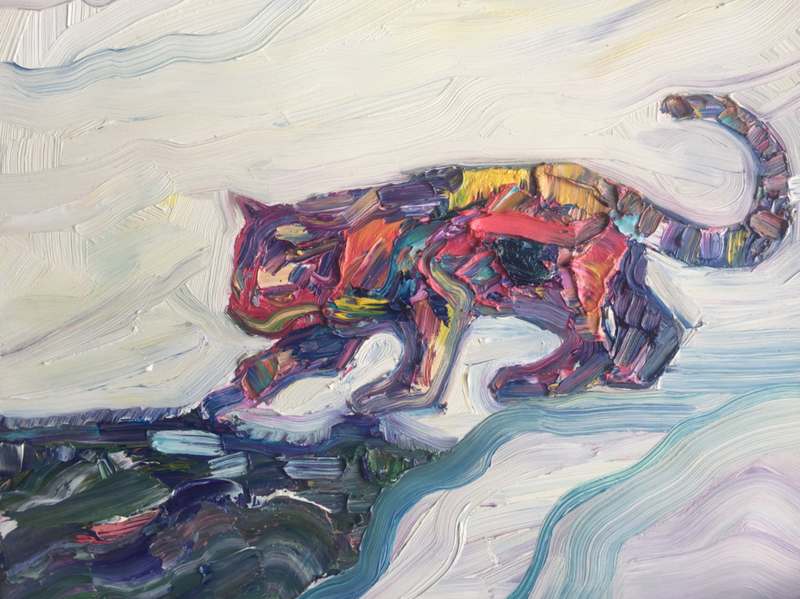 Does Yupo work for thick, heavy layers of paint? 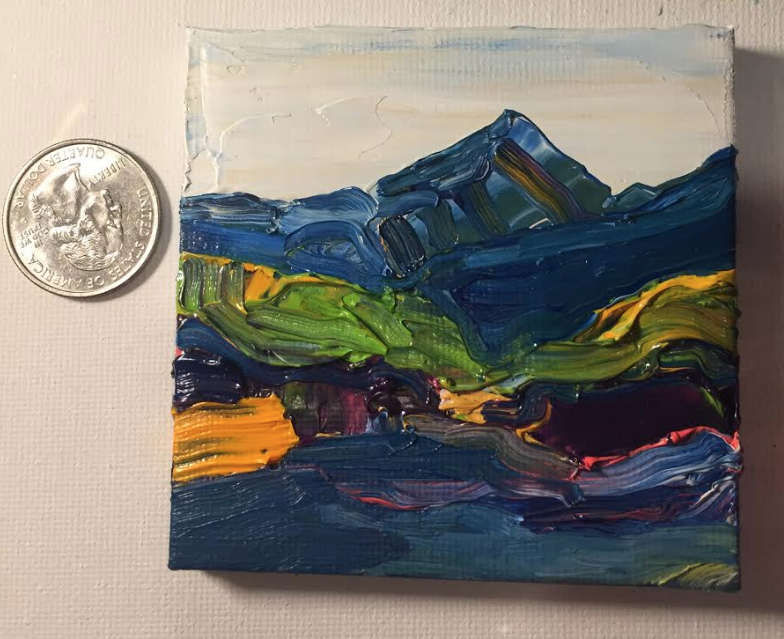 The answer is YES, it works just fine and can support quite a lot of paint and impasto medium, up to about half a centimeter at highest. I’d recommend the Yupo heavy version for painting with thick paint. The smaller Yupo surface worked well for experiments and compact painting, so I decided to branch out and try a larger size. What else works on Yupo? To be honest, just about anything. 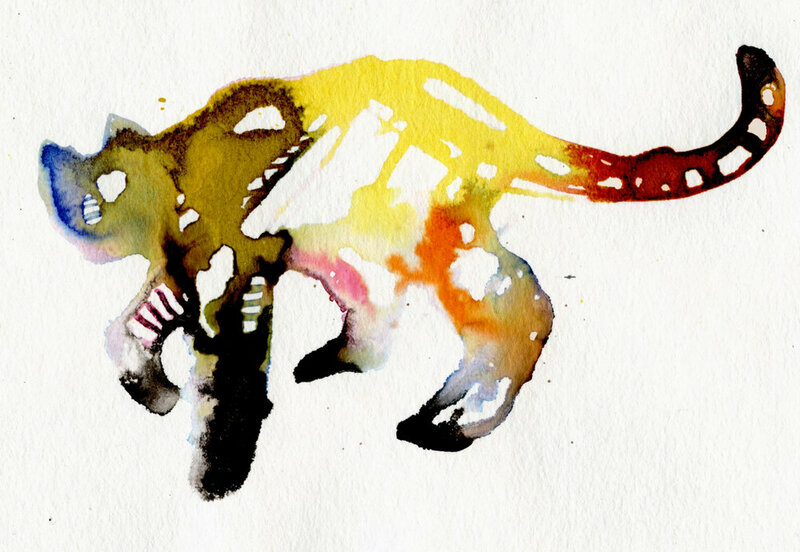 Watercolor pencil looks great, acrylic ink pours on and Yupo holds the color brilliantly. Copic markers work and since they are alcohol-based and the paper is smooth, they blend even more fluidly. Fo Cézanne, painting is a matter of how many colors you can see in a gray area. 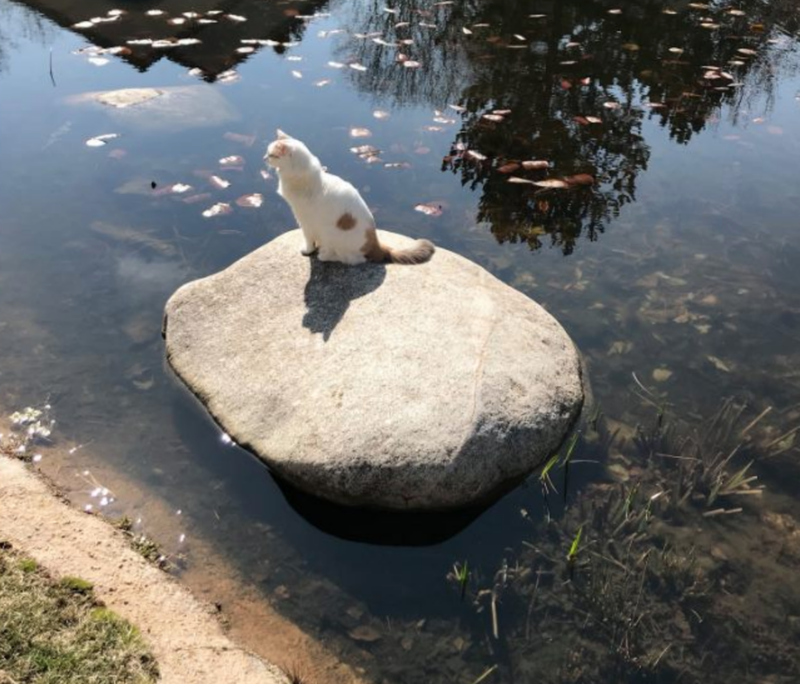 The painting above I made from a photo of cat on a rock in a pond - it was such a cool photo, I had to ask - how did the cat get there? And, why would she ever leave the rock? The rock seemed like such a cool place to be, surrounded by water and flower petals. 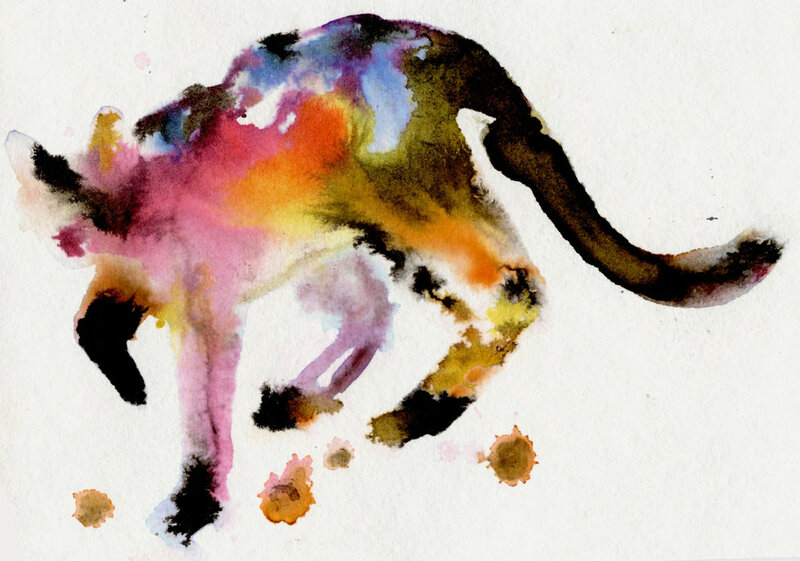 I wanted to make a painting of my cousin's cat, Marl, who is a striped cat with beautiful markings. It was fun to paint Marl basking in the sun on a checkered carpet, it was especially fun to paint Marl's little footpads. ^ Here is Marley Cat hanging out at my cousin's place. One day in Houston at my grandpa's house, a mostly white kitten appeared and stopped by to eat the kibbles of grandpa's much older cat, Xena. Fairly common in Houston, stray cats tend to come and go - everyone in the family was expecting the wayward white kitten to move on to another house, but the kitten decided to stay. The kitten would appear intermittently and would race about the yard, and so the family named the kitten "Flash." He was fully adopted and now has his shots/tags and is overall here to stay. I made the above drawing of Flash in the garden, and the below drawing of Flash in Clip Studio Paint. 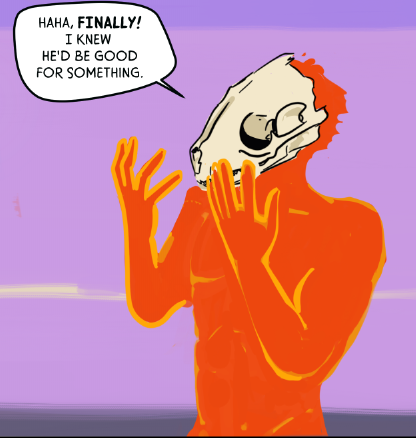 Flash is white, but I reimagined him as a cat in the shade. 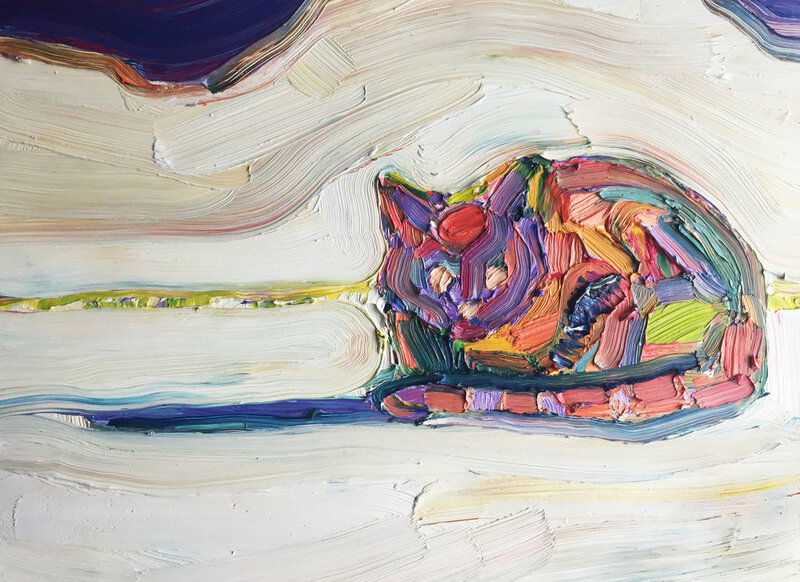 I started out this series of colorful cats in oil with a sort of "Wayne Thiebaud Cakes, but with Cats" kind of take. The thick oil paint makes the bright colors stand out quite a bit. I'd love to do more in this sereis with non-pale backgrounds, maybe more with leaves/foliage or household surroundings. Overall these were just fun to make. Painting this cat's feet was fun. ^ At this level of thickness in paint, the paint takes on a sculptural quality, and I'm not even painting so much as sculpting or building dimensional form. 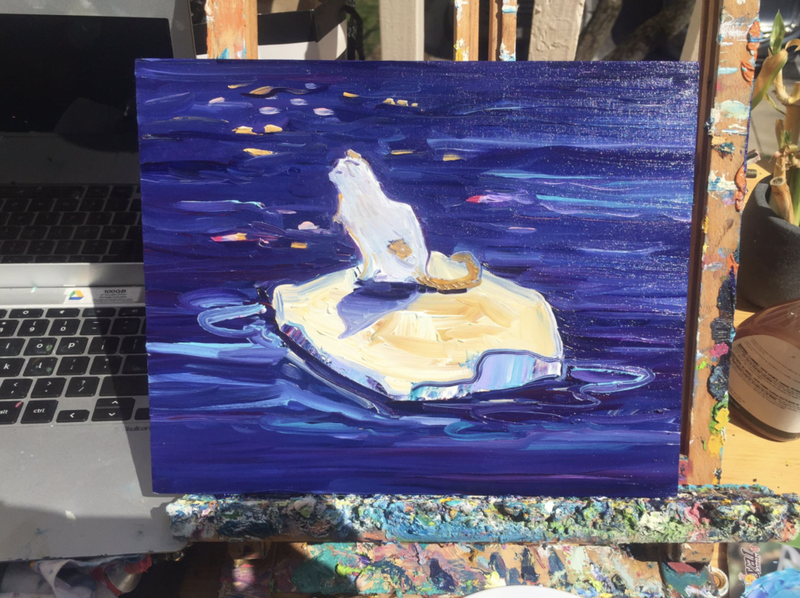 I often start out paintings like this with a small undersketch in orange (so that it is easy to see) and then I fill out the full-bodied paint forms from there. It's interesting how no matter what kind of paintings you make, it all starts with the foundation of drawing. 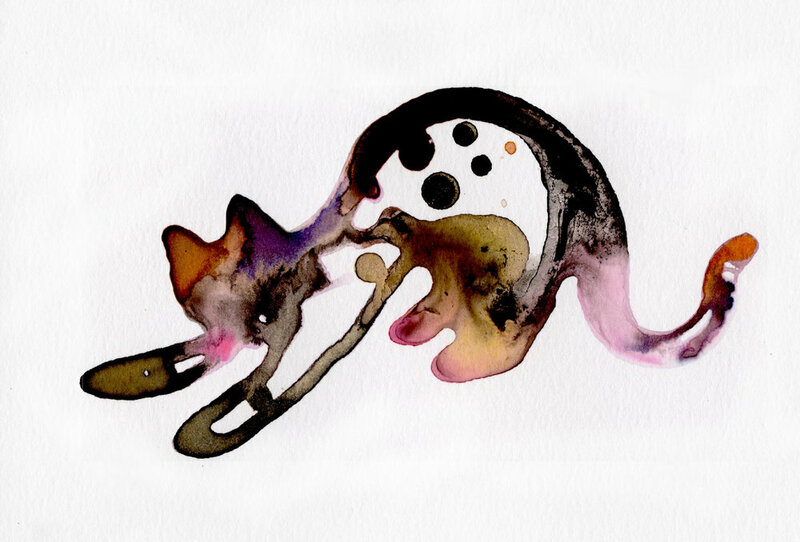 Cats but with watercolor or acrylic ink. 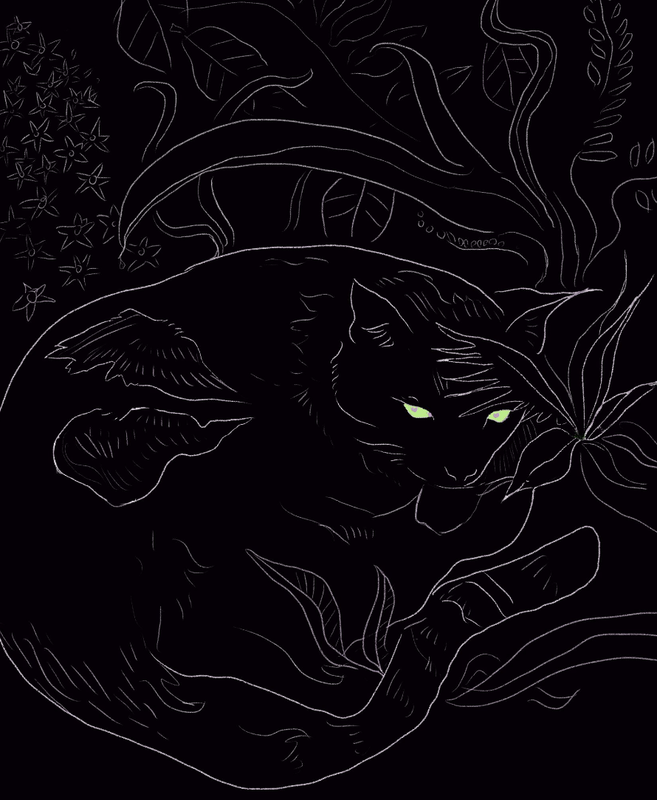 For Inktober 2017 I made the cat above, what's interesting is people see a lot of different shapes in this cat. It's a bit like a cloud in this way. 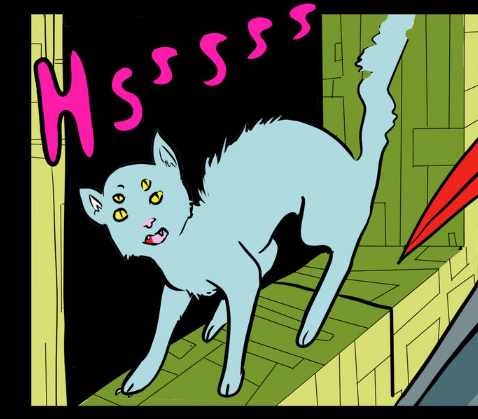 Several cats also make an appearance in Tilted Sun, a sci-fi fantasy comic that you can check out on TiltedSun.com. Poppies are fun to paint because of their edges and the depth of the flower. They’re a bit like Irises, many layers and stages. A recap of most of the art I did in April! Looking at this painting, you can realize a key truth about van Gogh's work.